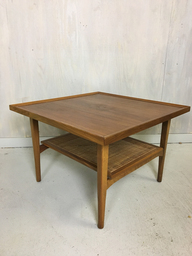 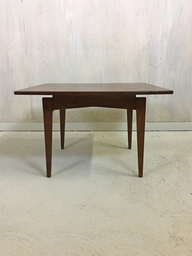 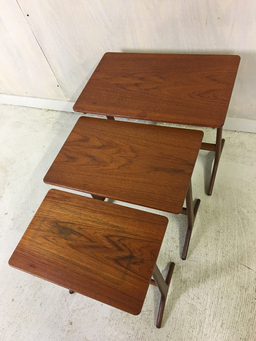 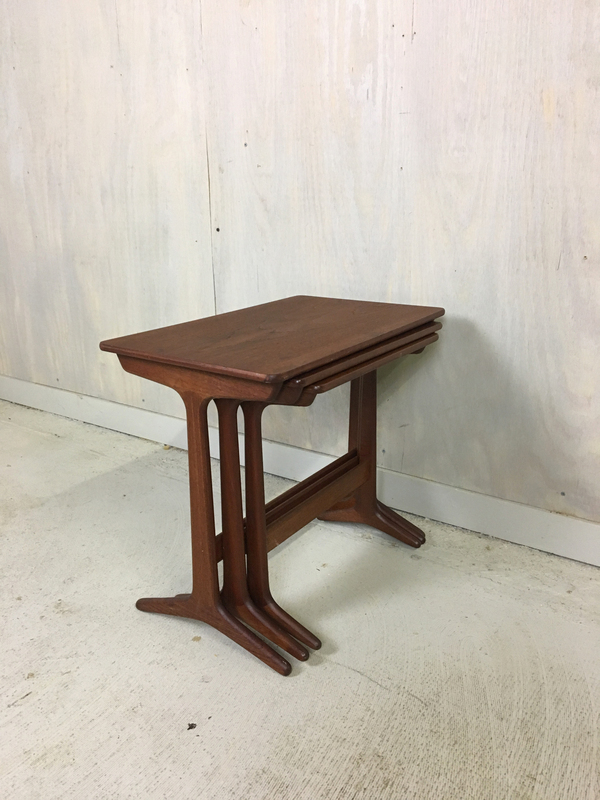 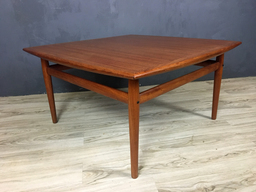 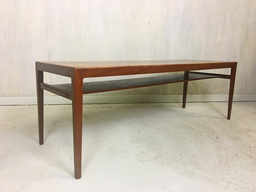 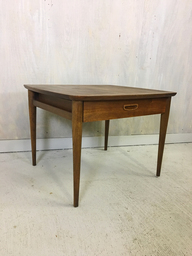 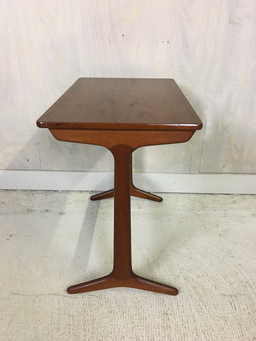 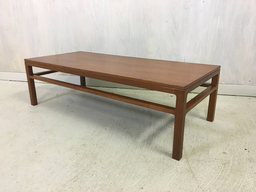 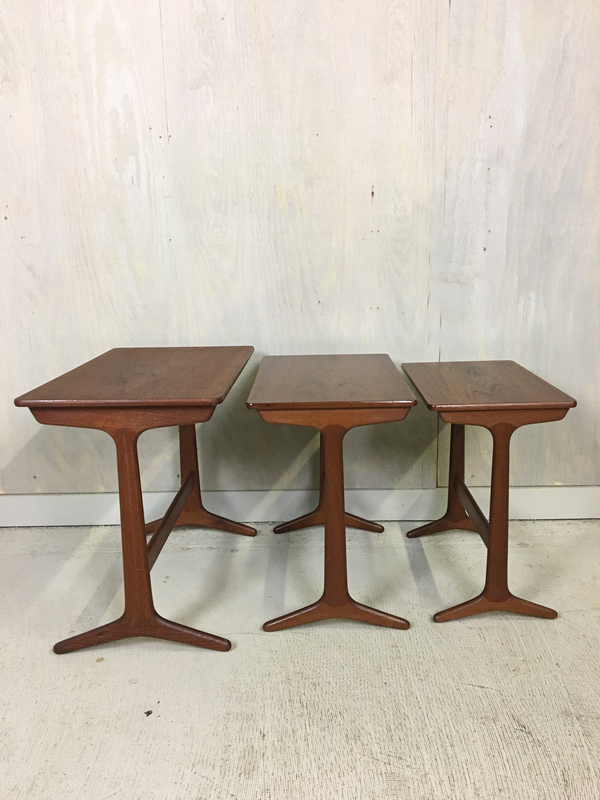 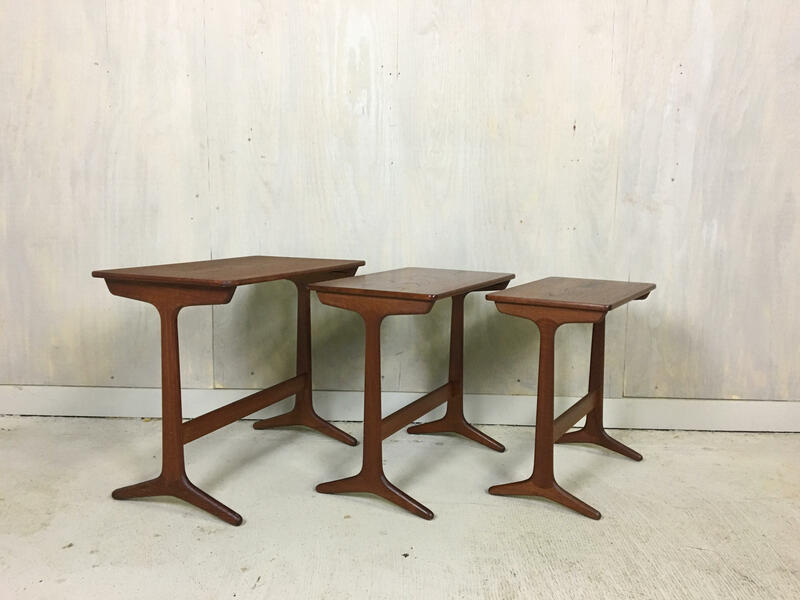 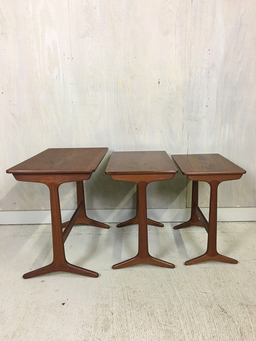 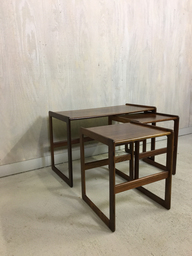 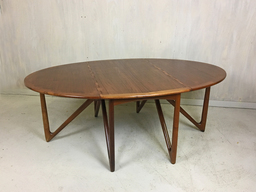 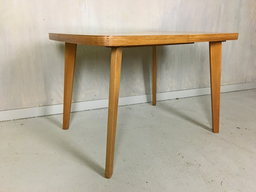 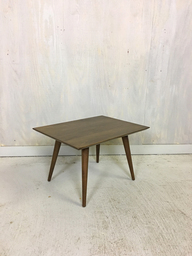 This lovely set of teak nesting tables was manufactured by Heltborg Mobler in Denmark in the 1960’s. 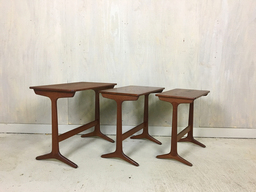 Elegant, slender trestle legs make these tables sing. In good vintage condition, they have been professionally re-glued and refurbished with teak oil. 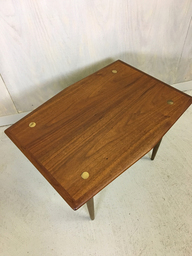 The smallest table has a faint dark outline (see photos) and the top table has a faint dark mark about the size of a quarter (see photos). 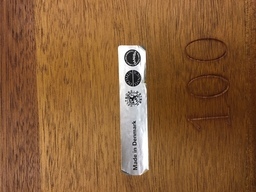 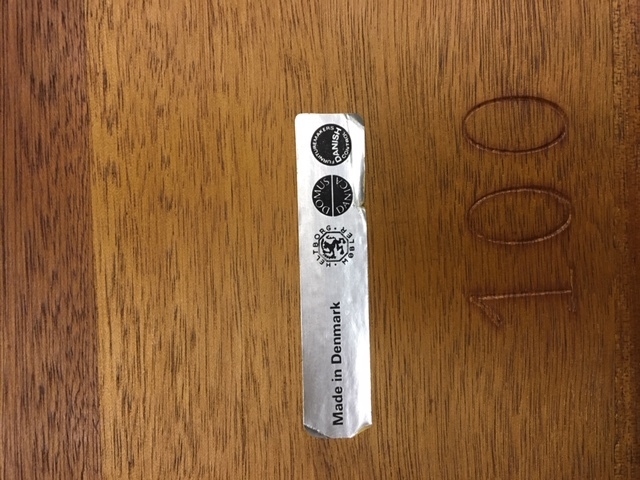 Original paper label intact.